Location(s): Boardrooms, Meeting Rooms, Ballrooms, Back Rooms, Side Rooms, Front Rooms, Lawns, Courtyards, Your Brother’s Kitchen, the International Space Station, and any participating Denny’s. Yes. You get to attach sharp pointy things to remote control cars and try to pop other teams balloons during this team building. It’s awesome! Welcome to the real life version of Mario Kart that you always wanted to play. Each team will be designing a car straight out of Max Max. 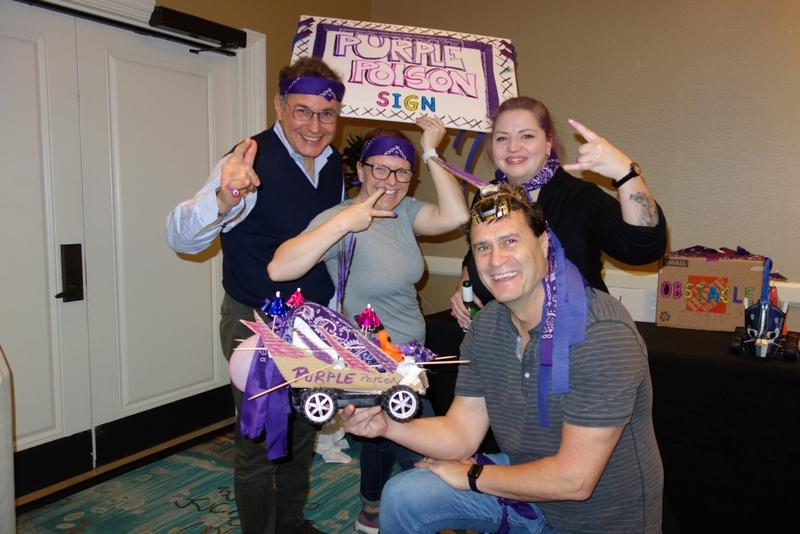 During this team building you will conceptualize and craft a unique cardboard body and load it up with sharp things and a balloon. Once your little destruction machine is designed and built it’s time to compete. Each team will navigate a time trial course packed with balloons and pitstops. Outperform the competition and you’ll have an advantage heading in the Melee Round. Picture a demolition derby and you have a good vision of how ours works. Teams will battle until only one balloon is left. Collaboration, trust, and teamwork are key to success. There can be only one …. will it be you? Small teams lead to better connections. Teams will need to communicate, trust, and execute effectively to deliver their project on time. Remote Control Cars, Sharp Pointy Things, Raw Materials, Balloons, Staff, and Badass Bragging Rights. Yes, if you’re a balloon. Or if you break the rules and stand in the middle of the Melee round… but that would be a terrible idea. Can we attach the flame thrower that Elon Musk was selling to our car? Ok, we get this question a lot. We really want to say yes but alas the cars aren’t quite the right scale. No. But being an engineer will not be held against you. Can we keep our creations? Maybe. Depends on your budget.